The Annapolis Spring Sailboat Show is located in historic downtown Annapolis on the City Dock. The best address for your GPS is 1 Dock Street, Annapolis, MD 21401. Boat show visitors are encouraged to park at the Navy-Marine Corps Memorial Stadium and take the free bus to and from the show. To accommodate attendees, parking is available at the Navy-Marine Corps Memorial Stadium, conveniently located in Annapolis, Maryland. 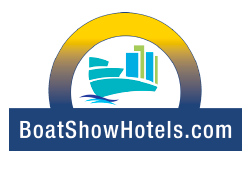 Free buses shuttle attendees from the Stadium to the Annapolis Boat Show downtown at the City Dock. Buses run continuously from 9am until one hour after the show closes. Stadium Parking: $10. Take Route 50 to Annapolis/Rowe Blvd (exit 24). Follow signs along Rowe Blvd. to the Navy-Marine Corps Memorial Stadium at 550 Taylor Ave in Annapolis, Gate 5. GPS Address:550 Taylor Ave, Annapolis, MD 21401. Parking is also available at the Eastport Elementary School – a short walk to downtown historic Annapolis. 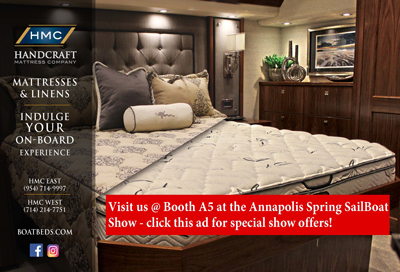 VISIT ANNAPOLIS will gladly assist those attending a boat show with a variety of accommodations. Click on the links below for area hotels, inns, and B&B’s.